Dr. Huang’s clinical expertise is the surgical treatment of complex intracranial pathologies, both tumors, and vascular lesions. He has received extensive training in the management of meningiomas, pituitary tumors, acoustic neuromas, aneurysms, vascular malformations, extracranial carotid diseases, cerebral revascularization, and trigeminal neuralgia. 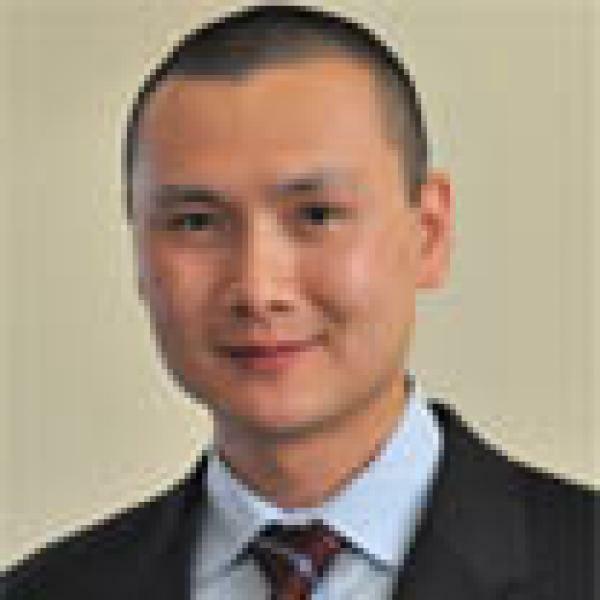 Dr. Huang’s research interests include neurotrauma and neurocritical care. Specifically, he is interested in advanced neuromonitoring in the setting of traumatic brain injury and spontaneous subarachnoid hemorrhage, skull base fractures, and endocrinological disturbances following trauma. In addition to his focuses on neurotrauma and neurocritical care, Dr. Huang also has interests in the advancement of surgical approaches to pathologies of the cranial base, including the use of minimally invasive and endoscopic techniques. Solomon DA, Kim JS, Jenkins S, Ressom H, Huang M, Coppa N, Mabanta L, Bigner D, Yan H, Jean W, Waldman T. Identification of p18 INK4c as a tumor suppressor gene in glioblastoma multiforme. Cancer Res 2008;68(8):2564-9. Reddien PW, Andersen EC, Huang MC, Horvitz HR. DPL-1 DP, LIN-35 Rb and EFL-1 E2F act with the MCD-1 zinc-finger protein to promote programmed cell death in Caenorhabditis elegans. Genetics 2007;175(4):1719-33. Huang MC, McGrail KM. Incidental durotomy in cervical spine surgery. Semin Spine Surg 2006;18(4):230-34. Sapp PC, Hosler BA, McKenna-Yasek D, Chin W, Gann A, Genise H, Gorenstein J, Huang M, Sailer W, Scheffler M, Valesky M, Haines JL, Pericak-Vance M, Siddique T, Horvitz HR, Brown RH Jr. Identification of two novel loci for dominantly inherited familial amyotrophic lateral sclerosis. Am J Hum Genet 2003;73(2):397-403. Hosler BA, Siddique T, Sapp PC, Sailor W, Huang MC, Hossain A, Daube JR, Nance M, Fan C, Kaplan J, Hung WY, McKenna-Yasek D, Haines JL, Pericak-Vance MA, Horvitz HR, Brown RH Jr. Linkage of familial amyotrophic lateral sclerosis with frontotemporal dementia to chromosome 9q21-q22. JAMA 2000;284(13):1664-9. Prakash YS, Miller SM, Huang M, Sieck GC. Morphology of diaphragm neuromuscular junctions on different fibre types. J Neurocytol 1996;25(2):88-100.